Adam Waller wins this years trophy with an impressive 47/50 score standing 20yards Light Weight Sporing. Presented by Maureen. The Annual presentation event proved a big success with many members receiving medals from Yorkshire and East Yorkshire Competitions in Shooting and Archery. Bill Green was the winner of the annual Name Your Own Start competition in memory of Frank Watts, he wins the Oak Cube! 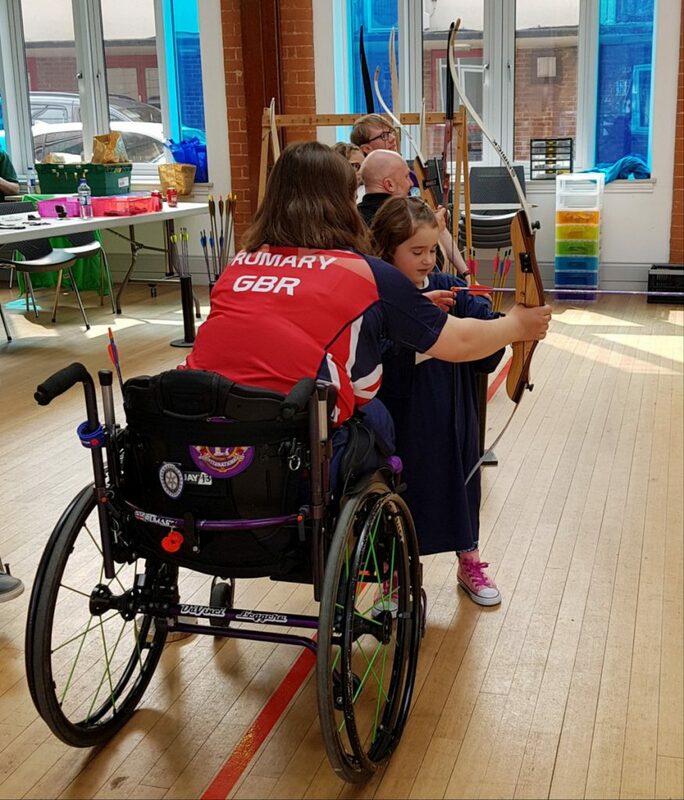 Archery was available to try on the day - this proved popular with everyone. Thanks to Roger and Leigh for organising. Andy brings home the Silver. Andy Medcalf with his collection of Trophies, all won at the Open Prone Championship at Knostrop on the 18th July. Scarborough Townsmans Cup, 8th East Ridings Home Guard Cup, Shaprshooters Cup, Army Cup! 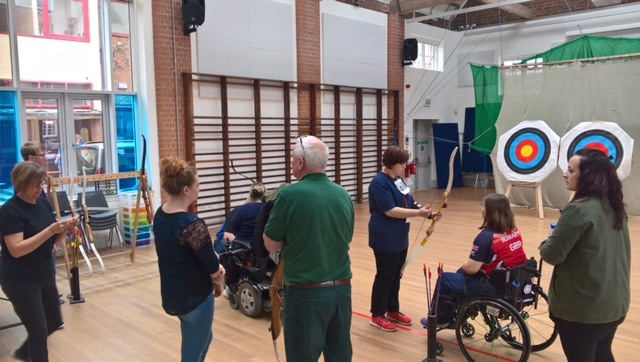 Beverley Archers at the Rotary Games, providing tuition and support for disabled Athletes, special guests were John Prescott and Victoria Rumary.